Mera Toy Shop Mera Baby Shop is like a local version of Hamley's. 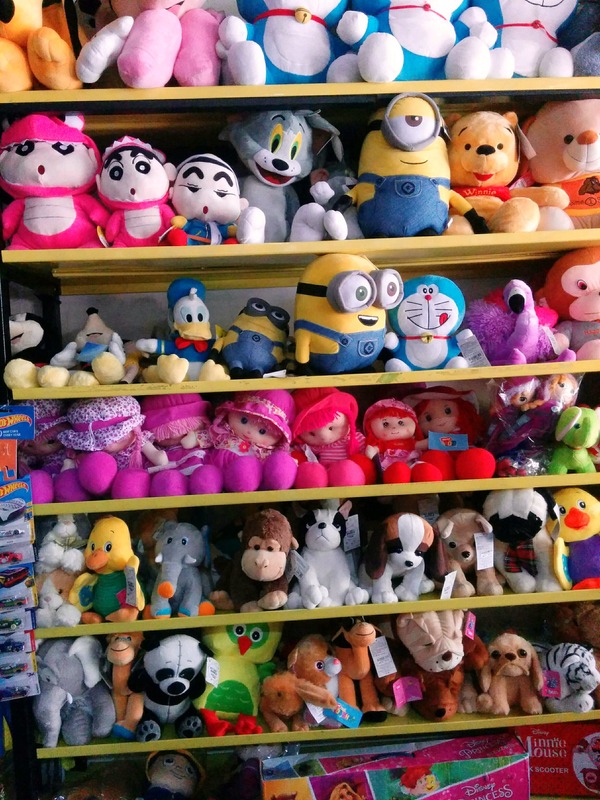 Located in Anna Nagar, this store is filled with toys for children of all ages. From teethers and spongy balls for babies to scrapbooks and stationery materials, this store has all kinds of fancy fetishes for children. The stuffed toys rack totally brought out the child in us. Up to 20 feet tall, this is loaded with soft bunnies, stuffed Pokemon characters, teddies in shades of pink, white, blues and browns, and Dora dolls. Starting from INR 250, this rack has teddies going up till INR 3000. Mera Toy Shop Mera Baby Shop also has an extensive collection of board games and puzzles for children aged 5 - 13. From creative lego puzzles and architectural board games to t-shirt designing, painting, quilling, and mani-pedi sets, there’s a lot to choose from. We also found toys from brands like Fisher-Price, Funskool, Hotwheels and Mattel Barbie dolls. They even have a 30 percent discount on select Barbie sets, board games, and cars. You can also find quirky surprise gifts, pop-up boxes, jigsaw puzzles starting from INR 200. The sports collection is also worth checking out as it is loaded with colourful skipping ropes, frisbees, shuttle rackets, footballs, basketballs, cricket bats and bowling games. And if you’re looking for stationery or educative games for children, you can find plenty of those too. From scrapbooks, glitter pens and crayons to fruit and vegetable charts, colouring books, slates and writing pads, they have it all. While we certainly wish we could be children again, you can totally make the day for the little brats in your life with merch from this store. Also, don’t forget to collect their visiting card as that comes with a 10 percent discount which you can claim on your next purchase.